Photobook Reviews by Thoughtful Photographers: Gisele Duprez reviews Arlene Gottfried's "Mommie"
Welcome to the first Confluence Magazine photo book review - a series we hope to provide with something like regularity. We believe that keeping photography a part of the tangible world is vitally important. It’s why we sell prints to help support the magazine, and it’s why we embrace photography books. Photography books are in themselves a work of art - a final step in the process of telling a story with pictures the way that giving birth is a final step in the making of a new person. Our digital age is too pregnant, too overdue, with images locked in an internet womb - and we’re forever peering at screens to see their features. Gisele Duprez is a native New Yorker, residing in Brooklyn. She has a degree in Criminal Justice and works in corporate technology. A self-taught photographer, Gisele’s primary focus is on street photography, where she enjoys capturing candid moments and the interactions between people. Her work has been shown on a number of online platforms, podcasts, and in 2018 Gisele was featured in Click Magazine as one of the “20 Women Changing Photography.” She has been selected for a solo show at Harlem’s El Barrio Artspace amongst international submissions from women street photographers, and also has a photo included in a companion group show at the same space. Gisele travels frequently, including recent trips to Paris and Havana to explore her French and Cuban heritage. She is currently working on a long-term project exploring Coney Island and Brighton Beach. Arlene Gottfried (1950-2017) was a NYC-based street photographer. 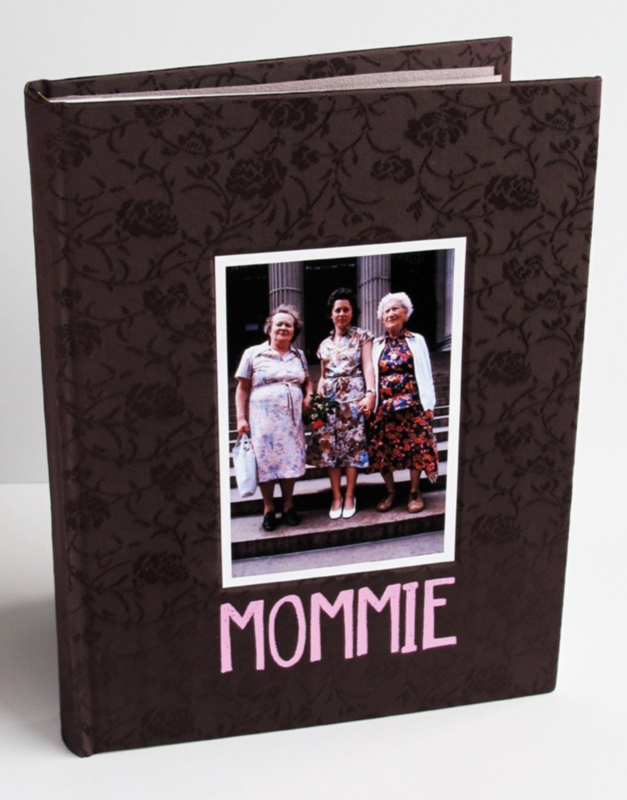 Mommie: Three Generations of Women was her fifth and final book. It’s a very personal and intimate look at the women in her life: her sister (Karen), mother (Lillian), and grandmother (Minnie). Beautiful color photos follow the three women over several decades. This book is like looking at your own family album, but with better quality photos. By the end of the book, you feel well-acquainted with the family. The relationship between the women was very close. Photos in the book are made with obvious love and affection, chronicling the everyday lives of all three women – in their apartments, on a rare vacation, at doctor appointments, and even in Minnie’s nursing home and Lillian’s hospital, as their health deteriorates. Minnie’s personality shines through the photos. Living to be 104, she was a seamstress who made her own fashionable clothing. Always full of adventure, she went to the planetarium the day before she died, and Arlene would sneak her out of the nursing home for afternoon trips without a pass. The affection Minnie had for her daughter Lillian is also clear in the photos, which include several shots of their ritual of kissing on the lips whenever saying goodbye. These moments are especially tender. Lillian is a constant presence in the book. Throughout the years, we witness Lillian’s health decline due to diabetes. This resulted in vision loss, a symptom that frustrated her until the end. We follow her to eye exams, and in and out of the hospital. Photos are extremely personal, and include a naked Lillian getting help out of the bathroom, losing her hair, and hooked up to machines as she nears her death. Lillian was always proud and supportive of Arlene’s photography, and allowed photos to be taken all the way to the end, despite occasionally becoming annoyed. Younger sister Karen is present throughout the years. She’s often seen visiting her mother and grandmother, sharing meals in their apartments. Other photos show her posing in her bathing suit, Karen’s sense of humor comes through during these moments. Just as you think the story is going to end on a sad note with the deaths of both Minnie and Lillian, life comes full circle with Karen having a baby. This came as a bit of a surprise, as there is not much information about Karen’s personal life in the book. The opening narrative is worth reading – Arlene was a very open-minded woman who loved to have a good time. Growing up in diverse neighborhoods made her comfortable with people different from herself. She hung out at the Nuyorican Poets Café, and published a book on Puerto Ricans in NY. Arlene also loved to sing – which is how a Jewish girl from Brooklyn joined a gospel choir in Harlem. Lillian dubbed Arlene “the singing photographer”, a moniker that she embraced. This book made me wish I had started taking photos earlier in my life. It reinforced the importance of documenting things that change or disappear over time – people die, fashion changes, cities gentrify. Even if you don’t publish the shots, you will leave a legacy or your life and of the world. If you would like to write a photo book review for Confluence Magazine, please email editor@confluencemag.com and tell us what book you’d like to review and why.